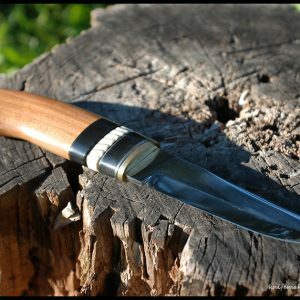 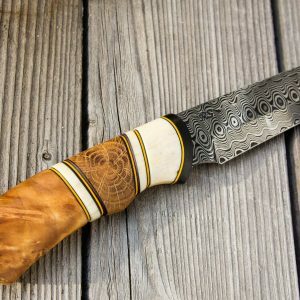 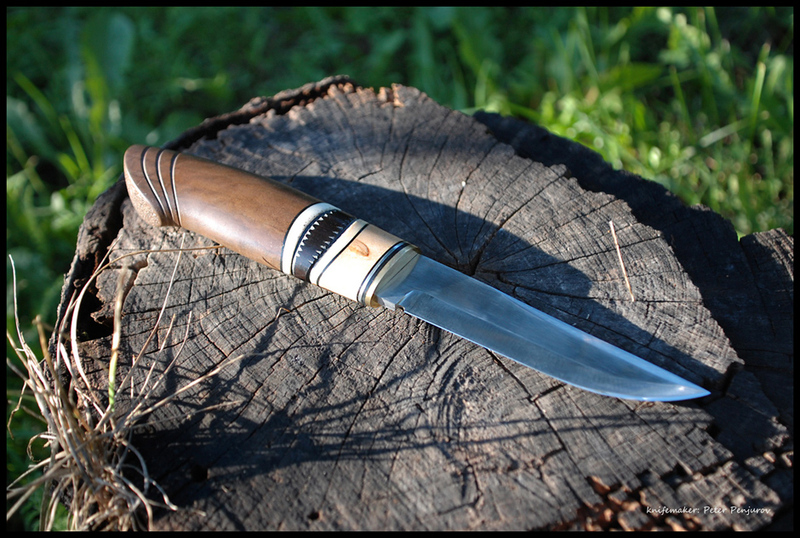 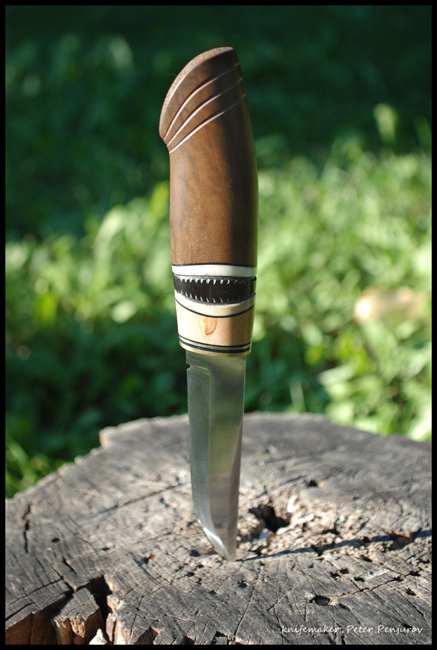 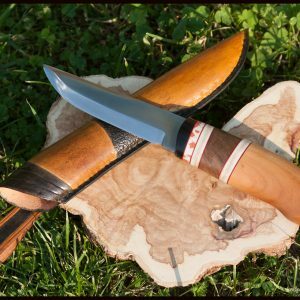 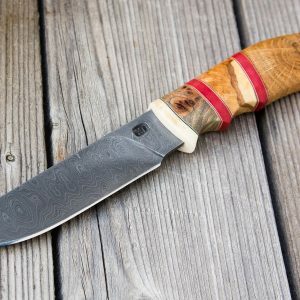 The handle of this knife is made with three types of wood – the darker eye shape is stabilized walnut, the brown is walnut and the lighter is curly birch. 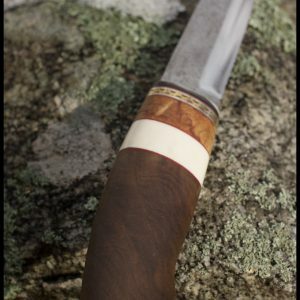 I also used reindeer antler, black micarta, and metal spacers. 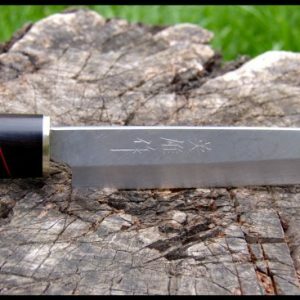 The blade is hand forged by me. 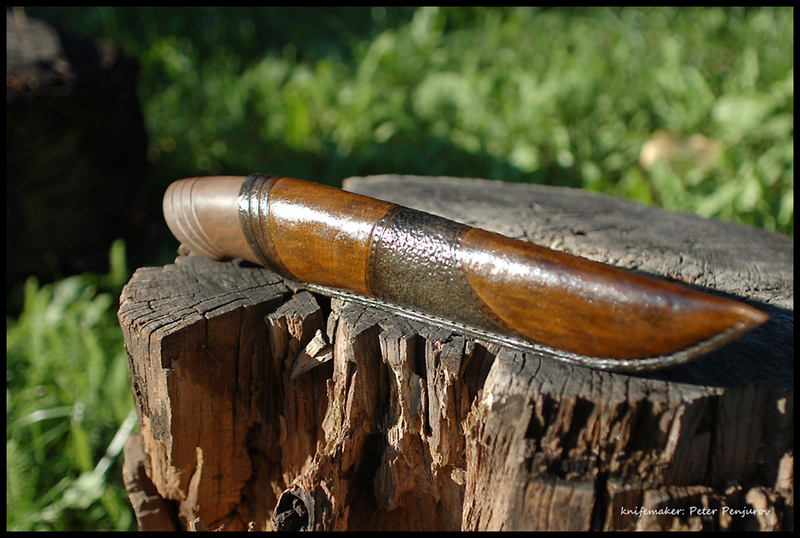 Vegetable tanned leather for the sheath.